Despite the naysayers who believe that gender equality in business is no longer an issue, the facts are real. Women face many obstacles in their careers, from huge pay gaps meaning that we essentially work for free from the first week of November (a particularly depressing and timely statistic), to half of all Australian mothers reporting discrimination upon their return to work. Building an inventory of qualities and benchmarking yourself as an asset is the first step to creating success. To sell yourself as prime real-estate you first need to know and understand your value. Perform a SWOT analysis to identify your individual qualities. This is a subjective and often difficult process so don’t be afraid to ask others what they see as your strengths – you might be surprised by the result. Only once you’ve identified your unique selling points can you begin to build your own brand and sell it to others. Sheryl Sandberg, in her must read book on gender equality “Lean In” talks about the importance of being active in your approach – she calls it ‘taking your place at the table’. As women, we often don’t put ourselves forward enough, whether that be in the literal sense of taking that seat at the head of the boardroom table, or in the metaphorical sense of speaking when we have a point to make, often women will hold back where men will not. So my advice is to show up. Take your place at the table. Give your input and make sure it’s heard. Even when you’re being interrupted, keep speaking. Hillary Clinton demonstrated this in the last election debate; when Trump interrupted her 35 times in 90 minutes she kept a level head and continued to speak with the authority she knows she possesses. Don’t be a part of the ‘tribe of never ending apologists’. It’s a dangerous habit so work to get rid of it. The constant act of prefacing everything you say with an apology devalues your thoughts and opinions and immediately puts you on the back foot by putting the other person’s voice ahead of yours. ‘I’m sorry’ ends up meaning ‘I think my opinion isn’t worth your time or interest’. The easiest way to combat this is to consciously monitor your speech and written communications, practice writing candid to-the-point emails with zero apologies. It will boost your self-confidence, credibility and how others see you too. All too often, women can be the biggest impediment to the success of other women and sadly, especially those who have achieved success often suffer from ‘Queen Bee syndrome’ which sees them keeping others down. We need to be mindful of all of our language and action towards women in the workplace to ensure that they are positive and empowering. Everybody needs heroes and mentors, which is why I participate in our internal mentoring scheme PHA Media, as well as working with the Resurgo charity ‘Spear Project’ to engage with disadvantaged young people. Instilling drive, passion and courage in others creates the stepping stones for success and not just for those you mentor. Finally, I believe that by you can’t do any better than by embodying the change yourself – by being a strong, successful woman then you are a living role model for those who you can inspire and empower to become the next generation of the same. 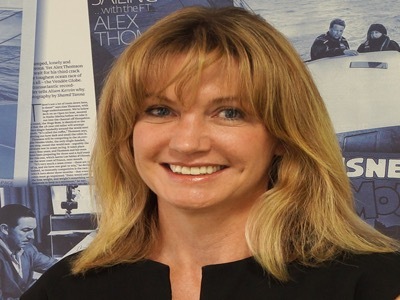 Sophie Wilson is the Director of Sales & Marketing at PHA Media. Voted a ‘Broadcast Magazine Hotshot’, Sophie has ten years’ experience in the TMT (tech, media and telecoms) sector in a career that has spanned broadcast, digital, advertising, art and PR. Sophie has been a key member of the senior management team in several organisations with a global focus and big growth plans, leading business development and transformation, strategic marketing, M&A activity, comms and rebranding exercises for broadcast, digital and software companies. She was notably a key part of the commercial team that drove the transformation of former radio network WRN Broadcast into a full-service TV company, paving the way for its recent acquisition by Babcock. She also drove the development of the digital arm of global media logistics IMD Group. She led and acted as spokesperson for a very high profile international PR campaign, which contributed to her decision to go ‘agency side’ in 2014. 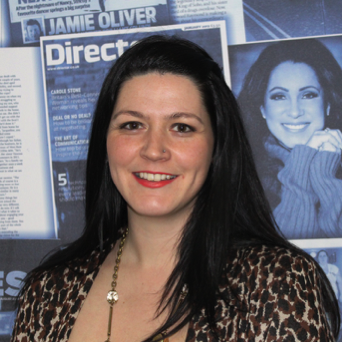 Sophie now leads the Sales & Marketing function at PHA Media. Sales – not just for men!